To unclog a toilet without a plunger, we have mentioned below 5 ways you can use Hot Water, Dish Washing Sopa which breaks down the waste, Household Bleach used for a highly clogged toilet, Baking Soda or Vinegar. Whether you live in a rented house or you are a homeowner, you should always have a plunger which you can use to unclog your toilet when the pipes block. Now assume that your toilet clogs and you don’t have a plunger and a nasty flood in your bathroom. What should you do? We all know that a clogged toilet is one of the most frustrating things that can ever happen in your home. However, no need to panic when this happens because we have outlined super easy tricks you can use to unclog the toilet without using a plunger. You will no longer have to worry since all the materials you will need are all available in your home. Check out the article to learn more. This is the simplest way of unclogging a toilet. You will just need to pour one bucket of water into the toilet bowl and wait for about 10 minutes. After this, water will start flowing out of the toilet. If the water remains still in the bowl, you can try to flush the toilet once. However, this method is only suitable for medium or small clogs. Dishwashing soap is very effective in the breakdown of grease and fats which are found in the waste. When using this method, you just add one cup of liquid soap or half bar soap into the bowl. To activate the liquid or the half bar soap, pour about one gallon of hot water into the toilet bowl. Allow the mixture to settle for about 15 minutes then flush the toilet. However, this method not the best for highly clogged toilets. 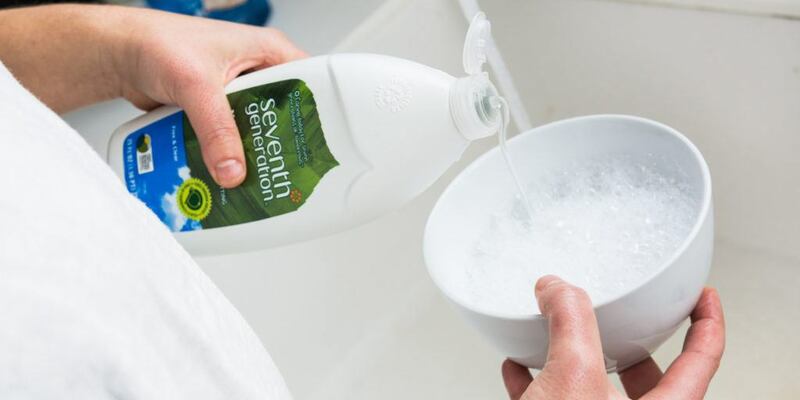 Household bleach is very effective in waste breakdown just like soap. Add 2-3 cups of household bleach into the toilet bowl and then add a cup of powdered soap after two minutes. Wait for about 15 minutes and then flush the toilet. If your toilet is highly clogged, you should try this method. Use a wire cutter to cut a plastic coated wire hanger. You can then try to make it as straight as possible. Coat one of the ends using a cloth or a rag. Remember to put on your gloves when doing this to prevent your hands from getting messy during the process. You can now put the coated end in the toilet bowl and direct the hanger in different areas. Twist, poke and push the hanger toward different areas to break down any existing clogs. After you have done this thoroughly, it is now time to flush the toilet. This method helps to remove all the clogs even the stubborn ones. Add one cup of baking soda in your toilet bowl and then add a cup of vinegar on top of the baking soda. Allow them to react and after 10 minutes, add 6-8 cups of hot water. Wait for 5 minutes and then flush the toilet. This method is very effective and it is able to unblock even the toughest clogs since the chemicals are able to remove all the clogs. Sometimes you toilet quality also be the reason for this situation, we have recommended some best toilet brands and flushing toilet you should check. You do not really need a plunger to unblock the toilet. All the above methods are very easy and effective. However, some are best for highly clogged toilets while others may only work for small clogs. The best thing is that all the materials required to unclog your toilet using the above methods are readily available and affordable. However, if the problem persists, you can call a professional plumber. Well, Kathie, This is for those who want to do it without a plunger.